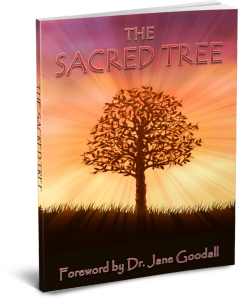 You may order copies of the The Sacred Tree book through Paypal or by calling 1-604-542-8991. This beautifully illustrated book presents many of the universal concepts and teachings handed down through the ages in Native societies throughout North America concerning the nature, purpose and possibilities of human existence. The book uses the ancient symbol of the medicine wheel as a mirror which reflects not only what a person is, but also what they might become through the development of their potentialities. *Canadian customers to pay in CAD funds. *US customers to pay in USD. * Canadian customers to pay in CAD funds. or call 1-604-542-8991 for a quote. The best pricing for Canadian residents is on this website. 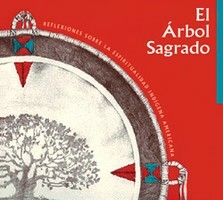 The Sacred Tree is available in other languages. Please email fourworlds1@gmail.com for more information. A portion of all Four Directions Internationalâ€™s revenues are dedicated to the support of Four Worldâ€™s community-based non-profit development efforts. In 1995, a bold new initiative was undertaken by Phil Lane, Jr., International Coordinator of Four Worlds International Institute to create a profitable business initiative to fund the humanitarian work of The Four Worlds International Institute for Human and Community Development and other related initiatives in including the preservation of native American culture and native American healing. This community-based, sustainable economic enterprise is called Four Directions International. (1.) The development and marketing of multimedia communication systems and educational technologies and approaches that will empower and sustain wide-spread human and community development efforts. (2.) The development and marketing of technology that will sustain a pollution-free environment. (3.) The development and marketing of natural herbal medicines, healthy foods and healing centers that support and empower human wellness. (4.) The research, development and marketing of investment opportunities and approaches that empower long-range human and community development initiatives. (5.) The development and marketing of economic enterprises developed and staffed by young people for young people. (6.) The development of international economic development enterprises and partnerships that will sustain long-range human and community development initiatives in North American Tribal Societies and around the World.